We are absolutely delighted that Pat’s tireless work for good causes and her community, has been recognised and rewarded in the 2018 New Year’s Honours List. Pat, an Elder in Annan Old, receives the British Empire Medal for services to charity, particularly through her lengthy service as secretary of the Annan & Districe Friends Group of Cancer Research UK. 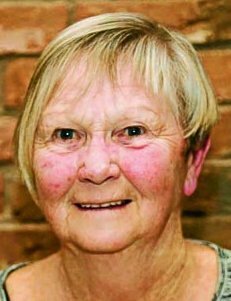 For many, many years she has voluntarily actively fund-raised along with friends, for Cancer Research, by taking part in bike rides, holding Coffee Mornings and doing bucket collections, raising more than £120,000 since 2002. She also helps keep local supporters up to date by attending lectures hosted by the Charity. 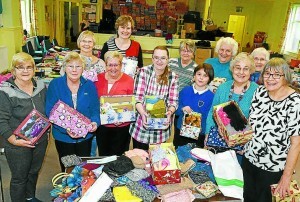 Some of the helpers filling the Shoeboxes for the Operation Christmas Child Appeal. Pat is Area Volunteer Co-ordinator for Operation Christmas Child, a cause close to her heart – she has travelled five times to help deliver the “boxes of love” to places in Eastern Europe and most recently to Zambia. She helps run our Toddler Group and the Friendship Club, and along with Jean Murchie regularly provides the music at Lydiafield Care Home, where they also help with the Monthly Service. Pat enjoys cycling, knitting, playing the saxophone and accordion. She would be too modest to admit that she makes so much difference each day by chatting and generally brightening up the days of lonely, and not so lonely people. A true friend to many. She never forgets that but for the help and support of many friends and volunteers this vital work would never be achieved – so Pat is accepting the BEM on behalf of all the volunteers and the people of Annan and District. She said, “We’ve received tremendous support down the years. The public are very generous to good causes”. Gifts presented to Mr and Mrs Steele on leaving Annan Old. 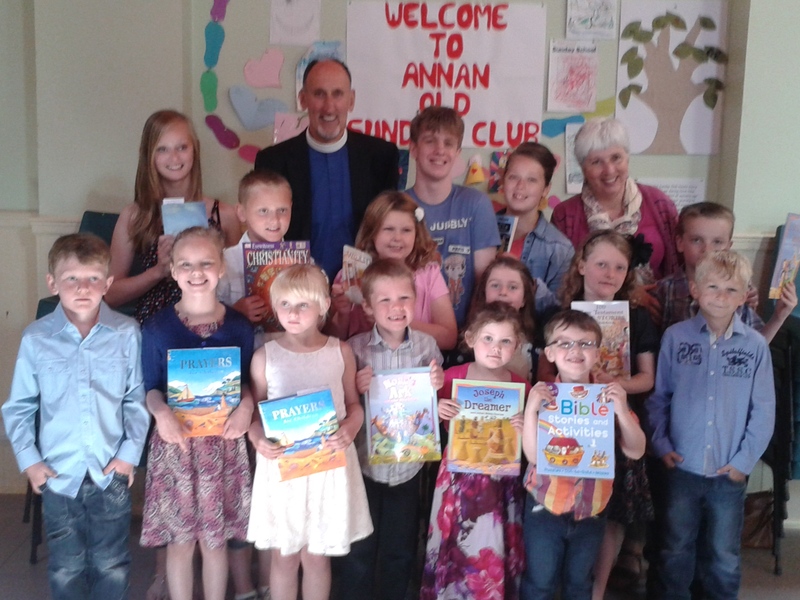 The Sunday School held their annual prizegiving service on Sunday 23rd June. Children took part in the service conducted by Mr Steele. The children also took the opportunity to say a huge thank you to both Hugh and Deborah for their hard work over the years and presented them with an orchid as a gift for their new home. We will miss them very much but wish them the very best of luck for the future. Hugh and Deborah are pictured with some of the children and the books they received at their presentation. Mr Campbell Jackson has recently retired from his post as Treasurer. 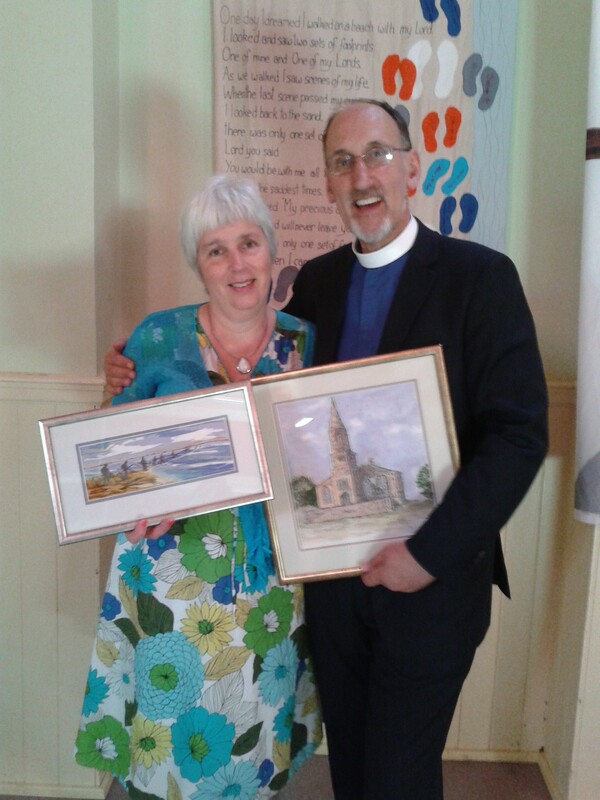 Mr Jackson held this post for 30 years and the Church marked this occasion by presenting him and his wife with a bouquet of flowers. 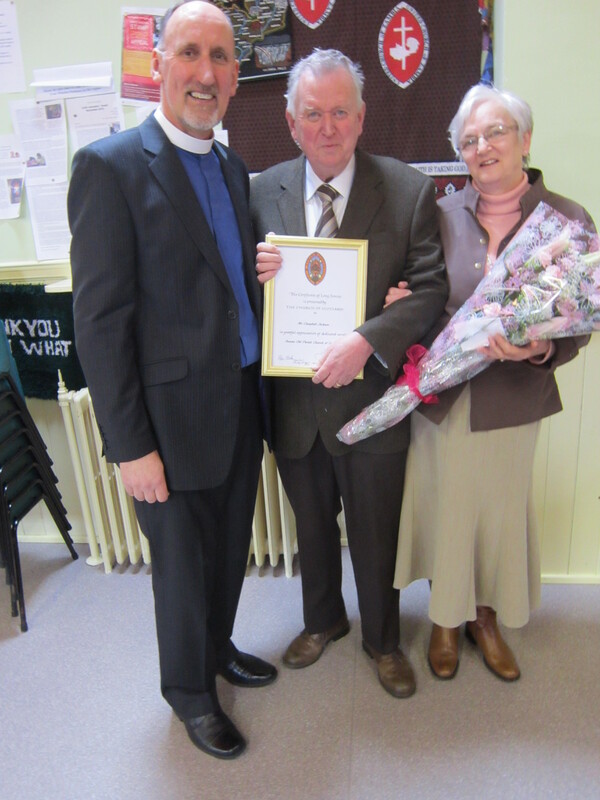 Mr Jackson also received a certificate to mark 30 years of service as an elder. Pictured here are Mr Steele (minister) with Mr and Mrs Jackson.